For 10 years Sister Joan Timpany served as the Catholic chaplain at Paremoremo Prison, where the country's most dangerous criminals are incarcerated. The cheerful nun is interviewed in this First Hand documentary by new director Leanne Pooley (Topp Twins: Untouchable Girls). 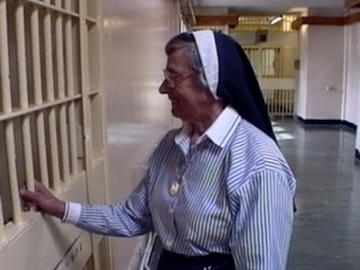 Prisoners adore Sister Joan; many call her a mother figure. An inmate called Julian performs a song he wrote for her, with the lyrics: "There’s no other here to listen, I can always count on her to be a friend." Sister Joan was awarded the Queen's Service Order in 1993 for her community service. She died in 2006. 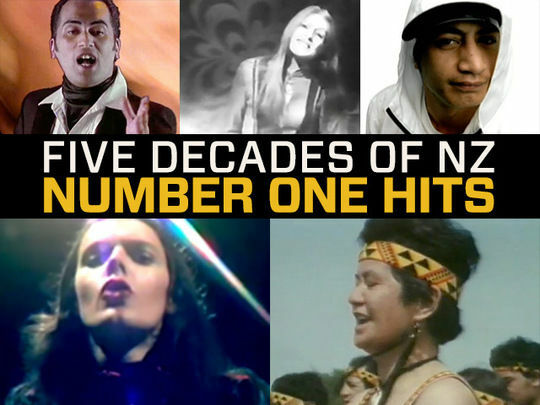 First Hand was a series of mid 1990s documentaries made for TVNZ. Newbie filmmakers were armed with consumer cameras, aiming to capture “natural human behaviour” with the new technology and minimal crew. 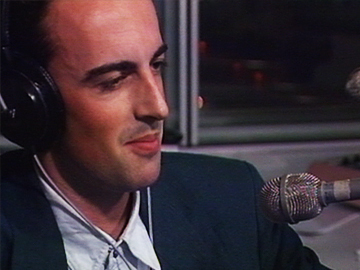 This edition, directed by David Ambler, profiles 23-year-old Newstalk ZB late-night talkback host Mike Yardley, and introduces regular callers from his nationwide audience of 150,000: service station worker Lucas channels Oprah, Petone radio poet George rhymes about detached organs, and Merle dances to an organist. Radio veteran Marcus Lush narrates. Anne and Gordon left high school unable to read or write to a basic level. This documentary follows their progress with the Auckland Adult Literacy Scheme, and culminates with the pair sitting the written and oral exam for their drivers' licence. Anne found innovative ways around the kids' bedtime stories, but froze when it came to filling in forms. Gordon has been driving illegally for years; he wants to ace his drivers' test and finds an acceptance within the Adult Literacy Scheme he never did at school. The First Hand series has a stripped back style, using small cameras and crews. Director Leanne Pooley heads to a struggling Hawke's Bay farm as part of a documentary series made by newbie filmmakers. The Hallgarths are selling up after years of financial difficulty at their 600 acre sheep farm, which has been in the family for three generations. Pooley interviews a sad yet optimistic Arthur and Helen Hallgarth as they prepare to leave, and on the day they depart. Within a year of filming this show, the family returned to farming on a small property nearby. Pooley later directed Topp Twins:Untouchable Girls and 3D Mt Everest ascent saga Beyond the Edge. Karen and Mark, who are both intellectually disabled, are expecting a child. In this episode from stripped back documentary series First Hand, the couple become a family when baby Terry arrives. 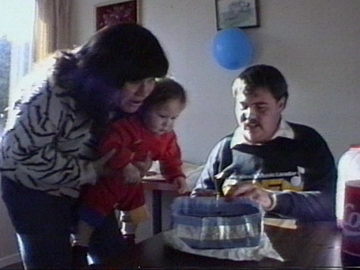 Terry's birth means the usual support they receive from IHC must be ramped up, and a new caregiver steps in to help Karen and Mark cope with the 24/7 responsibilities of parenthood. It's a story full of hope and love, but no one close to the couple is under any illusions about the amount of support needed to successfully parent Terry. 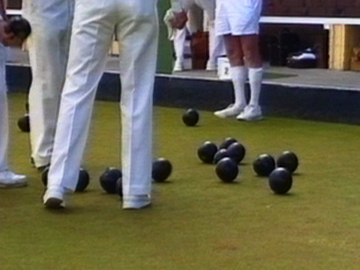 The St Heliers Bowling Club is the setting of this episode of First Hand, a series dedicated to giving young directors a shot at making documentaries. A triples team from the Remuera Bowling Club have made the short journey to the Auckland seaside suburb, and aim to prove their superiority on the club’s fast greens. The documentary takes time to observe the culture of the club throughout the day’s play, from the variety of whites the players wear and the backgrounds of the members, to their lunchtime rituals and the role of women at the club. It’s all in a lively day’s play. 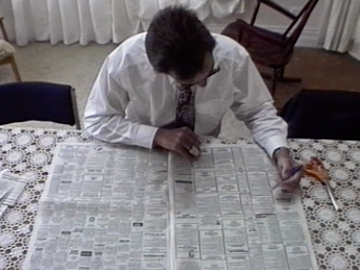 Mental health care is profiled in this 1992 episode of First Hand. Wayne Hussey is a member of the South Auckland Community Treatment Team, who is followed over the course of a day seeing his patients. They vary from a young woman struggling with bipolar disorder, to a woman living with schizophrenia, and a man who has adapted to independent life in the community. Kingseat Psychiatric Hospital becomes the voluntary home of one patient. The hospital was closed in 1999, and parts of the complex were controversially used for haunted house attraction Spookers. This extended episode of First Hand sees a couple at an economic crossroads, and making the decision to move into self-employment. After finding their jobs in Auckland compromised, Alec and Sheena McDonald set out to find and buy their own dairy in a small North Island town. They end up in Awakeri, near Whakatane. The lifestyle transition is far from trouble-free, as the couple must negotiate the worlds of bureaucracy and banking to insure their new business stays afloat. The documentary provides insights into running a small business during a time of economic reform. After being made redundant, Mike James becomes one of thousands searching for a new employer in Auckland. This episode of documentary series First Hand chronicles the instability faced by the accountant and his family. With their savings dwindling, plans for kids' sports teams and wife Margaret’s prospective tertiary study must be seriously reconsidered. 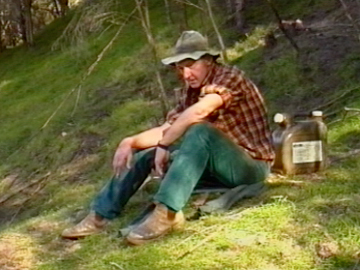 This episode was directed by Seth Keen, who directed further television documentaries (Godzone Sheep) before going on to lecture in new media at the Royal Melbourne Institute of Technology.